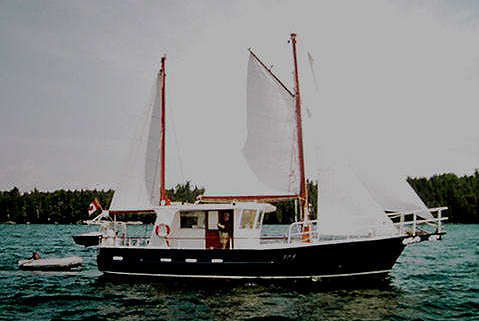 I just got back from helping Lee & Sheila Keely get their new boat to Boston on their way home to the Chesapeake. We had a pretty rough trip across the Bay of Fundy and the Gulf of Maine, with south west winds at 25 knots and 8 – 12 foot seas. The whole trip took 62 hours at roughly 7-7.5 knots. The boat performed very well in the rough weather and at no point did we feel in any danger, even when we were taking a foot of water over the bow! There were times when the whole foredeck was awash! So, I think we can safely say thank you for designing ANOTHER safe ocean worthy boat! Thank God For Pilothouses! 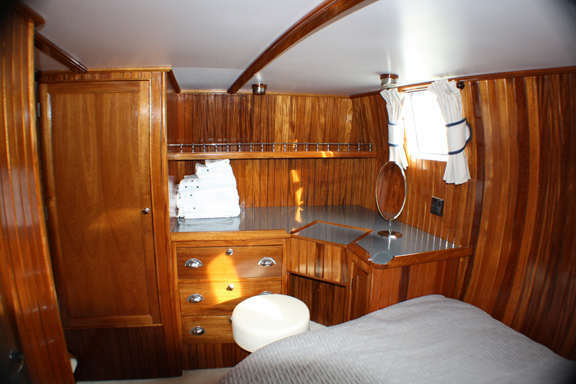 Feel free to share these photos on the net, the owners are very happy and proud of their boat! Talk to you soon, Brian. Lists of materials - Technical information - Numerous construction drawings are all included. You can view & print the drawings in full or in sections. BUILDING PHOTOS are included in the study plan package. 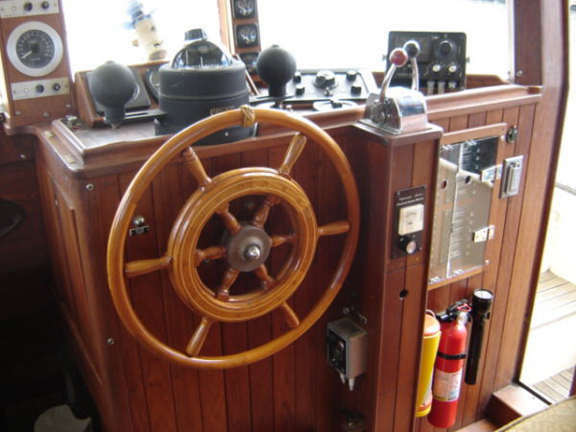 PLUS you receive a FREE (value 79.95) e-book BUILD YOUR OWN POWER OR SAILBOAT. SPECIAL INTRODUCTORY OFFER: COMPLETE BOAT PLANS CUTTING FILES ... Delivered by DOWNLOAD to your computer within 12 hours of you placing your order. 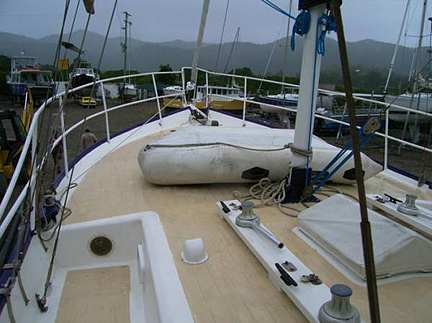 The plans have all the information you need to build your own boat..
TRAVELER 45 - STEEL KIT or CUTTING FILES AND boat plans. 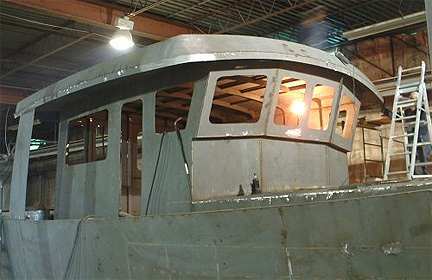 This design may be built as a motor sailer for family use, or, by adjusting the wheelhouse position, by the professional for fishing or trawling. It has a large fuel and water capacity plus space for a deep freezer. Also, being of full displacement it is also an economical passage maker and is quite capable of crossing oceans safely and surely. It can be built in either STEEL or ALUMINUM .... One example of the smaller version the PCF40 was motor sailed from Australia to UK and Ireland. L.O.A. 20.71 m 51' 6"
L.W.L. 12.35 m 40' 6"
BEAM 4.60 m 15' 1"
DRAFT 1.37 m 4' 6"
STEEL KIT or CUTTING FILES & boat plans. 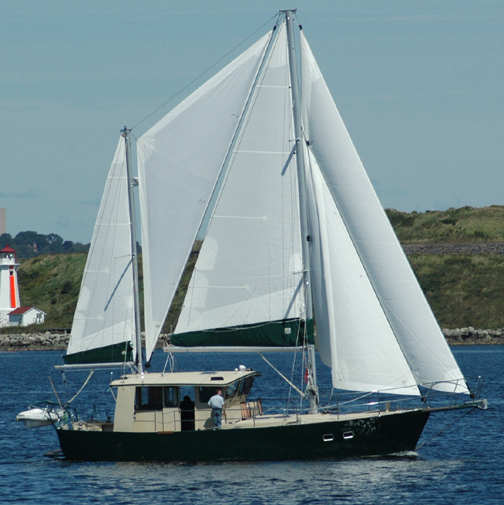 Other sail boat plans are available - what do YOU want in the way of a rig? 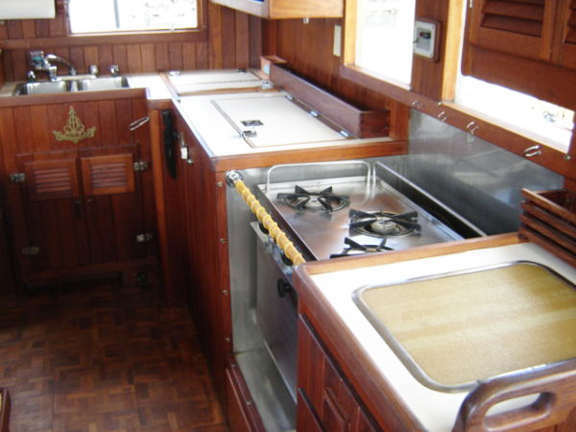 The flush deck forward makes for easy anchor handling and plenty of space to stow the dinghy etc. 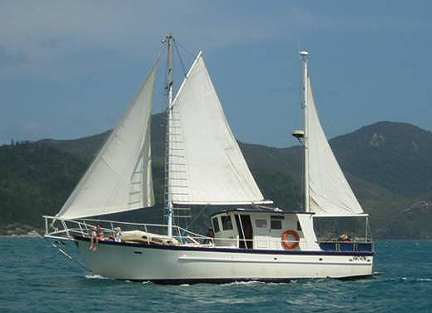 The rig shown here on the PCF 40 would also be ideal for this motor sailer. 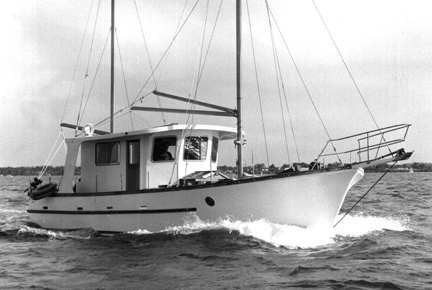 Australian Built PCF 40 - This boat was built at our Marine Park boat-yard back in the 70's - the boat is still in service and in recent years has commanded a good re-sale value.